How are you doing? I bet you are pretty busy getting everything ready up there at the North Pole. I hope Mrs. Claus has been feeding you lots of cookies, the elves are not on strike, and the reindeer are including Rudolph in their games. I think I’ve been pretty good this year. OK, so I didn’t get all my reviews posted to this blog. (yet.) 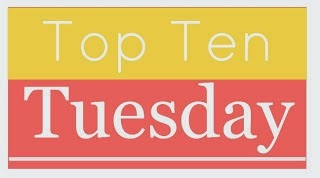 And I’ve missed the occasional Top Ten Tuesday post. And I am behind on my ARC reading list. It’s just that my TBR list grows faster than I could ever possibly read. If you could help increase my reading speed, that would be great. Also Santa – if this list is too last minute, you can always keep in mind the Books on my Winter Reading List. Oh! And Rainbow Rowell’s UK publication Almost Midnight would also be amazing. Thanks. Don’t forget to eat a cookie or two when you stop by our house on Sunday. And take a few for the road. You’re working overtime. 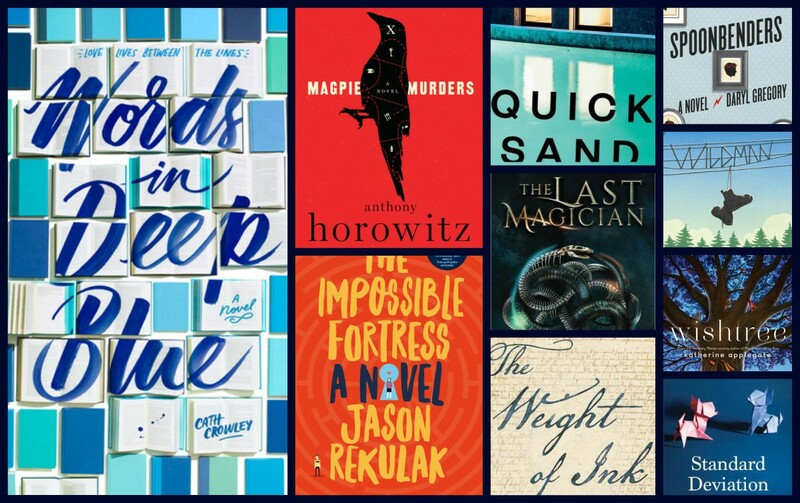 ← TTT: My Favorite 2017 Reads. I want to try Spoonbenders as well. Thanks Lauren! I hope you get to read it soon. Happy holidays! I just bought Words in Deep Bue myself because I couldn’t wait for Santa!! Wishtree is one I think I need to check out. Hope you get these!! The cover on that one is so beautiful! I just heard about Wishtree from another friend last week. It sounds so interesting, from the perspective of the tree. Happy holidays Grace! I didn’t have any of these on my list this week, but I would like to try The Last Magician! I have a feeling that my son might be getting that one for Christmas this year…;) It sounds really good! Love how you set this up as a letter– I miss writing letters to Santa 🙂 Great list! I hope Santa treats you well and many of these end up under your tree! I would love if Santa brought Almost Midnight. I hope you get all these! I know, Almost Midnight is the one I *really* want. I love Rainbow Rowell. Thanks! Thanks Lauren! I think it would be hard to go wrong with either of those choices. I’m sure we will both get to them eventually! Oh that request might be even too much for Santa! 😉 Ha! If your TBR is like mine it grows faster than you could ever read. Good luck! I love the Deep Blue cover. So gorgeous! Almost Midnight is the one I *really* want, but I was trying to highlight some new finds this week. Fingers crossed. 😉 I’ll keep you posted.